Beach: Sesuit Beach 1.5 mi. ; Paine’s Creek Beach 3 mi. Nestled on a quiet dead end road, with New Central Air! 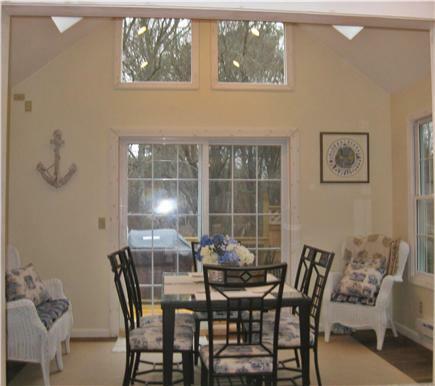 This lovely three bedroom saltbox has a newly added sunroom, deck and outdoor shower (also added outdoor playhouse!). 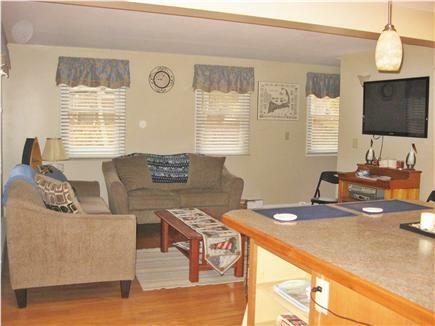 The fully equipped kitchen is open to the sunroom and living room (with flat screen TV). 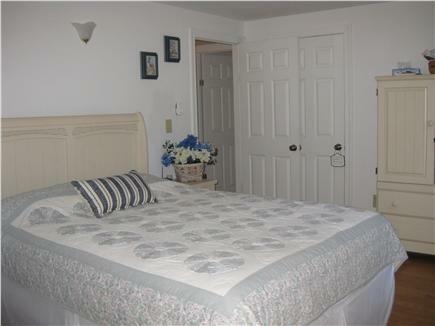 The home sleeps six: New King bed,(on the main floor), queen bed (upstairs), twin bedroom on the main floor. 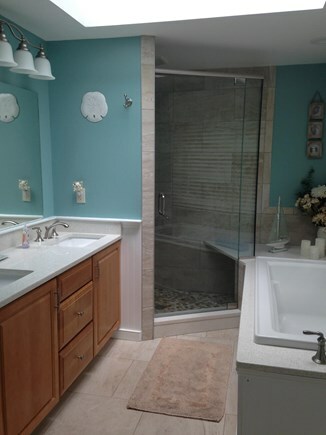 Two full baths (newly built upstairs 'full' bath); hardwood on the main floor, and carpet upstairs. Enjoy the large family/game room downstairs with a variety of beach items (chairs, coolers, toys, umbrella) and bikes (children & adults) available for your use. 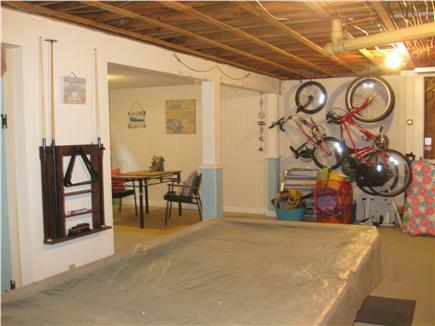 Pool table, TV (PlayStation II with games), couch, table & chairs and plenty of games for kids and adults. New Full size Washer & Dryer in a separate room. Attractions: Visit one of the eight Brewster Bayside beaches (and/or Dennis beaches). Easy access to the 22 mile Cape Cod Bike Trail. Explore Brewster's Cape Cod Museum of Natural History. Two of the finest golf courses, Dennis Pines and Dennis Highlands. Several mini-golf courses, go-carts & trampolines located on Rt 28. Take a 60 min drive to Provincetown for a day trip, or schedule a Whale watch, Fishing charters, kayaking and a variety of outdoor activities are close by. Numerous restaurants and shopping on Historic 6A create endless possibilities for the perfect vacation. Nearest beach: Sesuit Beach 1.5 mi. ; Paine’s Creek Beach 3 mi. 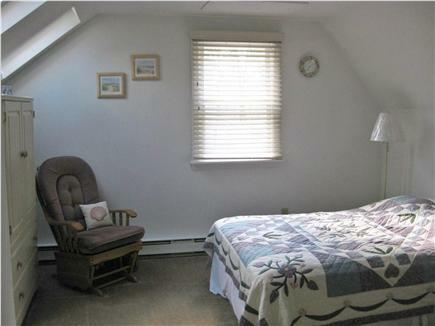 Additional pricing info: Weekly rental plus $200.00 Refundable Security Deposit based on contract. State and local taxes of 14.45% will apply. Repeat renter/The BEST vacation house! First time renting this property and we really enjoyed it. 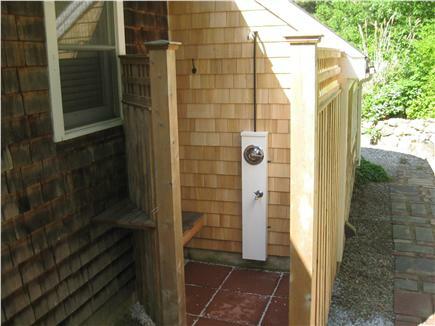 Have stayed on the Cape many times, so appreciated the A/C on the humid days. Lots of room, well appointed and very comfortable. Great location within Brewster which is our favorite Cape town. Owners were a pleasure to deal with. Would rent again. This was the perfect home for a great vacation! 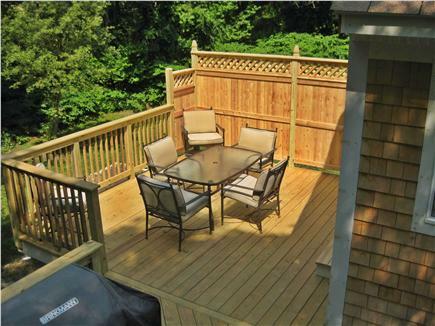 Quiet, peaceful, great deck, great basement with a lot of things for kids to do. 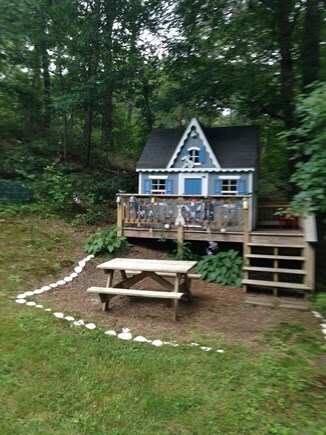 Our granddaughter LOVED the new playhouse. Just perfect!! 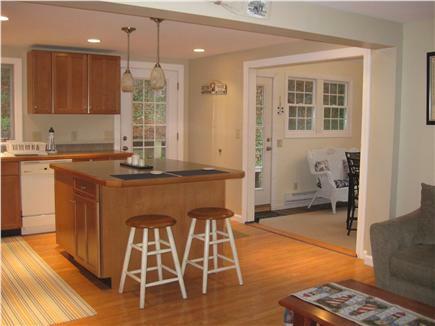 This is a great Cape house situated in a quiet neighborhood within close proximity to 6A. 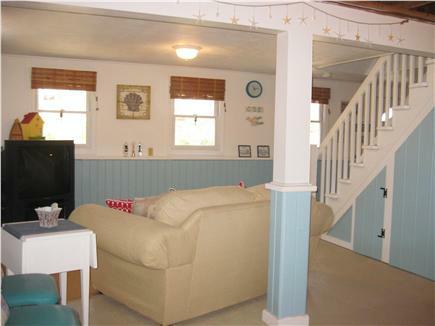 The home is immaculate and has a great deck for entertaining family or friends. We stayed here for the first time this season and would like to go back again next year. Highly recommended. I have had the luxury of spending two vacations in this beautiful home, and all I can say is "When can I get back there again?" the house is situated on the deep corner of a cul de sac that borders a protected bird sanctuary. Not a sound except an occasional melody from nature. 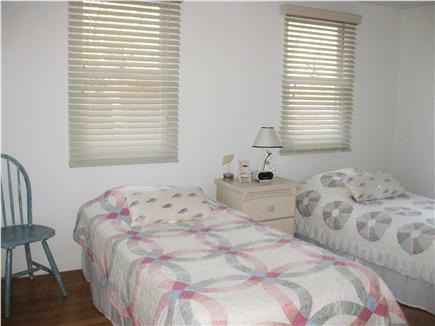 The neighborhood is quiet, and the house is very private, accommodating, spacious, and clean. Just minutes away from many activities. 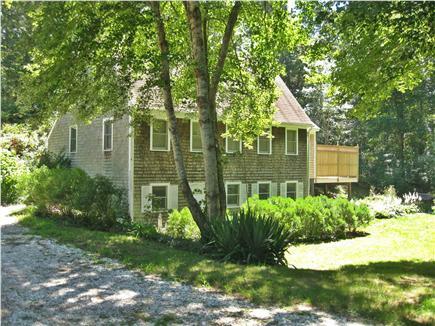 I think this is the ultimate location for a vacation on the Cape. The house is set up with a "feel like you never left the comfort of your own home" aura, yet it is obvious you are far away from the hustle and bustle of everyday life! Eat in day or night or, if you want, go to any local restaurant and enjoy the locals who have proven each time to be great people! 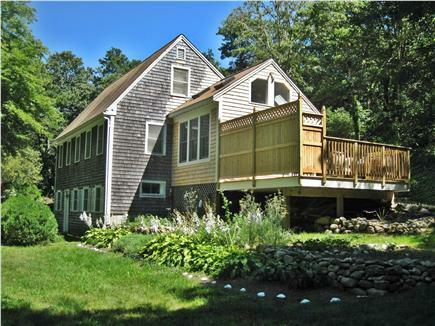 I can't say enough good things about this escape vacation home except, try it! I'm sure you will enjoy it as much as I did!